MANILA, Philippines - 'Bagyong Carina' has maintained its strength as it continues to move towards Northern Luzon, state weather bureau PAGASA announced on Saturday, July 30 at 8:00 p.m. update. 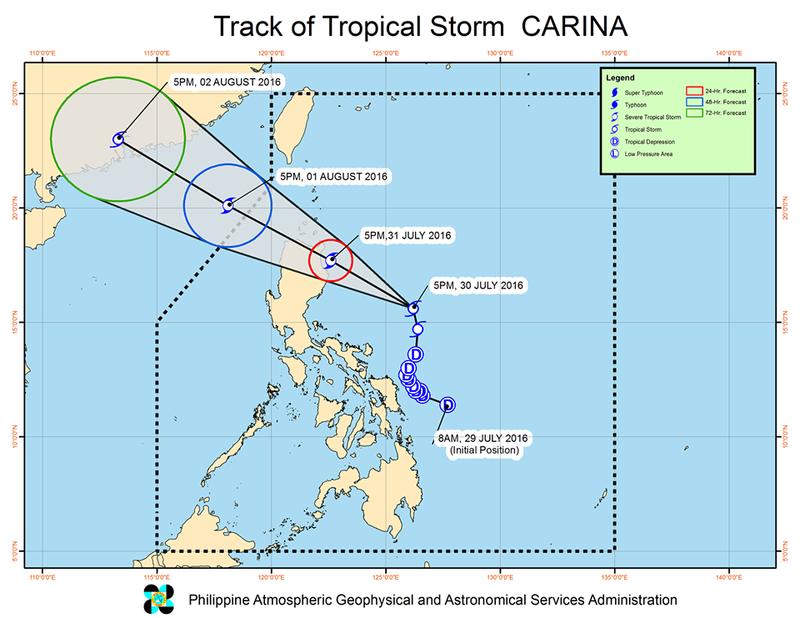 At 7:00 p.m. today, the center of Tropical Storm Carina was estimated based on all available data at 340 km Northeast of Virac, Catanduanes(16.2°N, 125.8°E). 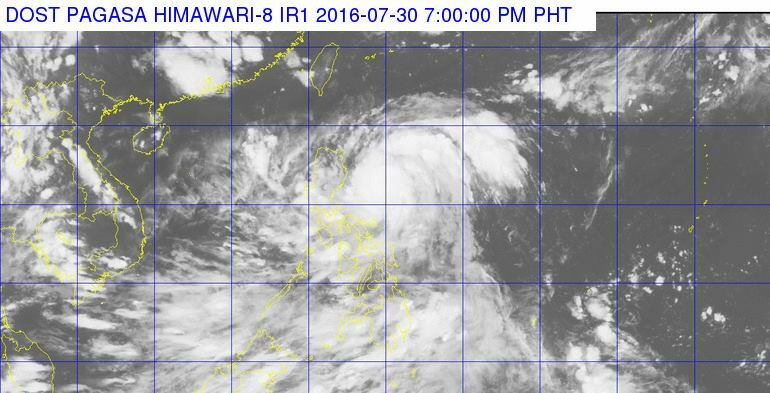 'Carina' has maximum sustained winds of up to 65 kph near the center and gustiness of up to 80 kph. It is forecast to move North Northwest at 18 kph. Tropical cyclone warning signal (TCWS) No. 2 (61-120 kph Expected in 24 hours) was raised over Isabela and Cagayan. TCWS No. 1 (30-60 kph) is expected in 36 hours in the following areas: Babuyan Group of Islands, Apayao, Kalinga, Mt. Province, Abra, Ilocos Norte, Catanduanes, Aurora, Camarines Sur, Albay and Sorsogon. The tropical cyclone warning signal over Northern Samar is now lowered.